The Indian Railways will start trials for indigenously-built and much-awaited semi-high speed 'Train 18' from next month. New Delhi: The Indian Railways will start trials for indigenously-built and much-awaited semi-high speed ‘Train 18’ from next month, a senior official of the ministry said, three months after its scheduled unveiling. Once, successfully tested, it shall be inducted in the railways fleet. 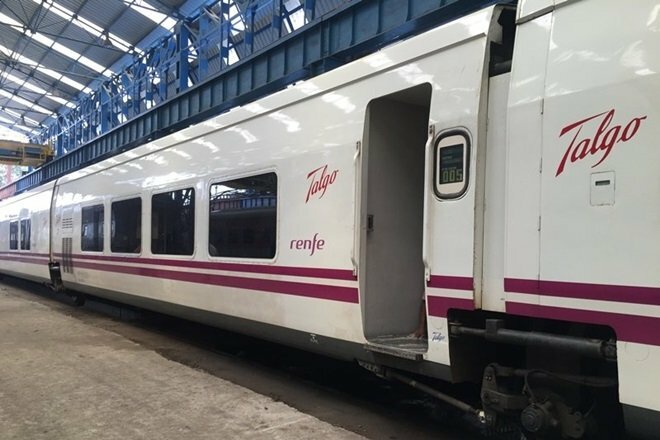 The Research Design and Standards Organisation (RDSO), which is a technical adviser to the Indian Railways, will conduct testing and give its validation to the train. Rather than being pulled by a locomotive, ‘Train 18’ sets are powered by traction motors fitted underneath each coach to render them self-propelled, just like metro trains. The made-in-India fleet was earlier scheduled for roll-out in June. The Train 18, which is built by Integral Coach Factory (ICF), Chennai, would promote Make in India, and is capable of running at a speed of 160 km per hour, the official said. Laced with state-of-the-art features, all of its coaches will be inter-connected by fully sealed gangways, automatic doors with retractable footsteps, onboard Wi-Fi and infotainment, GPS-based passenger information system, modular toilets with bio-vacuum systems, rotational seats which can be aligned in the direction of travel (available only in the executive class), roller blinds and diffused LED lighting and accessible toilet for people with disability. Upon successful implementation of Train 18, the IFC will start working on ‘Train 20’ which will have an all aluminum body. Aluminum will make the train more aesthetic, lightweight, energy efficient, and durable. On 7 March 2018 proposal for the Delhi to Jaipur semi-high speed train just in 90 minutes has been disclosed.